If your husband gave you a Valentine's Gift List Letter, you can be sure it would look something like this with these 10 Things would be on it. It'd be the best Valentines Gift ever, if you would take to heart the 10 things on this list. 1. Stop trying to change me! Accept me right where I'm at. I'm not perfect. God's not done with me yet. As long as I have breath - there is hope. Listen to me, please stop and listen to me. I might not be speaking with words. 2. Respect me. God put it in my heart to grow and change when I feel respected by you. Ephesians 5:33b. Respect (reverence) means to: adore, defer to, esteem, prefer, value, worship,give high regard for, appreciate, honor, be in awe of, venerate. (If you don't, some other woman will and she'll win his heart.) Please, in public, if I'm telling the "story" wrong, don't correct me. Let it go. 3. Understand that respect to me is like love to you. Understand that respect is: adoring me (even if I'm not perfect), supporting me (even if you're not sure what to support), follow me (even if you're not sure where I'm going - because most of the time, I'm not sure either). 4. Pray for me. I really need prayer. Pray that I become that Mighty Man. I know I can with you getting behind me and supporting me in prayer. I am fully equipped with everything I need, but it's just that sometimes, I'm not sure where all the equipment is. Please pray for me. 5. Please see me as God sees me - believe in me - treat me like a King and I know I'll become one. (Proverbs 12:4) See me as a Mighty Man of Valor . . . one who can DO it, one who can HEAR God, one who can lead well, protect well, conquer well. I do long for your approval. I need to be needed by you. Let me know that you need me. 6. Please stop telling me what to do or how to do it. Be my lover, not my mother. Please stop complaining. I already "feel like a failure" without you adding to it. I already struggle comparing myself to other men. My yardstick is already small. Please stop criticizing me. Criticalness is a heart issue rooted in discontentment – breeds criticalness. Every time you do that, it shuts me down, makes me feel shamed and then I struggle with anger. Sure, I know that's MY issue, but I resent being told what to do and how to do it. I want a wife, not a mother. I don't want to end up bitter towards you. Your criticism is the fast way to blow out our loves flame. 7. Let me OWN the responsibility for our family. God will hold me accountable for it. Stop trying to correct my mistakes, pick up my pieces and fix what's not right. I'll never learn to be responsible IF I don't feel the weight of being responsible. 8. Feed me. When I know you've prepared good food - I know you are honoring me. I love to come home, knowing that you've thought about me during the day. I know this because you take care of me. 9. Please build me up. Encourage me. Greet me with a smile. You just don't know what your smile does for my masculine soul. Please, wipe the sweat off my brow - even if you don't see it. 10. Please take your discontentment and disappointment to God first. Make an appointment with Him first and then if He tells you to talk to me, please do it without anger or emotion. Please make it about you by saying, "It would me a lot to me if you....." I may not hear it initially, but give me time and I will. 11. 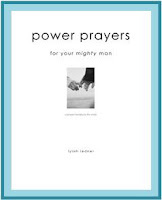 Pray for me - Lylah's Power Prayers for Your Mighty Man is a great tool to use. Get a gift copy here. Anne...how kind of you to visit! Yes...ableskivers! They're the best. Do you have the recipe? If not, I'll send it to you. Blessings on you and your family. Hi! Thanks for visiting my site - I'm new to the blog world so it's nice to meet other women in this vast network. I LOVE what you wrote in your profile about the Kingdom of God and living it out - yeah! I thought your list above was wonderful - have you ever read the book "Love and Respect" by Emerson Eggerichs? It is awesome and incorporates a lot of the above statements. I'll be by again! This is a wonderful list. THANKS! Hi Jessica...it is quite the blog world, isn't it? Thanks for the encouragement...and yes....we actually read the book as a group of women...we read on the part written to the women! it was wonderful. for me, it was cool to have been teaching respect/reverence and then read the book and have such a confirmation! blessings to you..and happy thanksgiving! Hi Anne...Thanks! I know it's an important list....it has taken me just about 20 years of marriage to "get it"...and when I work it....it works! WOW ! What a breath of fresh air to read this. As a christian husband and father, this is something I have wanted, but have never heard expressed. Thus, I thought that I was being selfish. Each time that I mention one of these needs to my wife, I hear "you are trying to change me", or "you need to give me the freedom to express myself". As males, no matter how many men's groups and bible studies that we attend, we do not share these needs - as society tells us that we need to be better husbands and fathers. I have spent the afternoon reading you blog; more current entries ... thank-you, thank-you, thank-you for showing me that I am not crazy and selfish. Please pray for me and for my marriage. Nice post Lylah. As someone who writes about how to be a better husband, I can definitely back up these statements. Let's hope that women take these to heart. well..that makes ME smile. bless you and your marriage. Wow, this is excellent. You hit the nail on the head. Having had the experience of two different marriages, I can definitely attest to the power of a wife to bolster her man by following these simple requests. It makes all the difference to a man to be respected, as much as it makes a difference to a woman to be loved. Lylah-This is a great list...very informative. It helped me better understand the power of influence women have in a mans life. Reading this excites me to be married one day and have this kind of influence in my man's life. This is a great list! I'll be sure to digest each recommendation as I know my husband deserves it. He is a great man, but how often I forget to do these things, even the simple ones such as prayer. love your list. it is full of truth and i love it. blessings to you. Fantastic reminders, Lylah. Thanks for this! Wonderful post but I think one of the hardest things we miss is that when a woman is working a full time job and raising a family, it takes a lot of planning to get through some of this list. But if we prayerfully do each step, somehow we can overcome some of the obstacles. When I was in the corporate world as an executive, with four kids at home the last thing on my mind was cooking dinner. My kids knew the menu on almost every restaurant close to our house. Hi Lylah, Thank you for this post. Wow...I am teaching a class at my church called Uniquely Yoked. It is for spiritually unequal marriages and this list about the man is exactly what we have been touching on in class. Thank you. Thank you. I will share it with them. Follow my daily happenings on twitter. 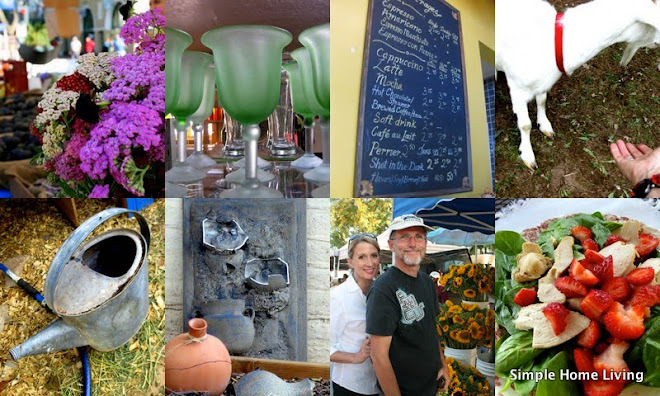 Are You Following SHL Yet?